Carly Corinthos: I am suggesting you use whatever influence you have over Ric to keep him from charging Sonny with perjury. Because the day he files those charges is the day that I tell the world that Sonny is Kirstina's father. Q: Can I see old episodes with _________? Does anyone have tapes of ____________? Q: What song was playing when _________? Q: Why isn't [insert character] in the opening? [Insert character] left the show -- why is he/she still in the opening? 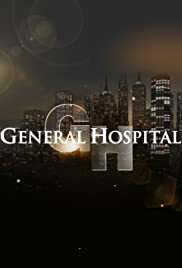 General Hospital is a long running soap opera that had wonderful leadership with Gloria Monty and Wendy Riche and amazing writers like Claire Labine. Also great performances by John Beradino,Rachel Ames, Tony Geary,Genie Francis,Tristan Rogers,Finola Hughes,Kimberly Mccullough,Vanessa Marcil,Alicia Leigh Willis and Billy Warlock. Tristan Rogers and Finola Hughes were incredible as Robert and Anna in the 80s and 90s where GH was filled with action,adventure and romance. The highlight of the 1990s included storylines of the family. BJ Jones's death, Monica Quartermaine fighting breast cancer, Stone and Robin's love story and their AIDS storyline. Plus the amazing chemistry and connection that made Sonny&Brenda soulmates. GH hit a rough patch in 2000-2001 with many backstage changes but it is improving in 2002. One of the most promising current storylines is the AJ Quartermaine and Courtney Matthews relationship. Billy Warlock and Alicia Leigh Willis have phenomenal chemistry that makes watching in 2002 a must.